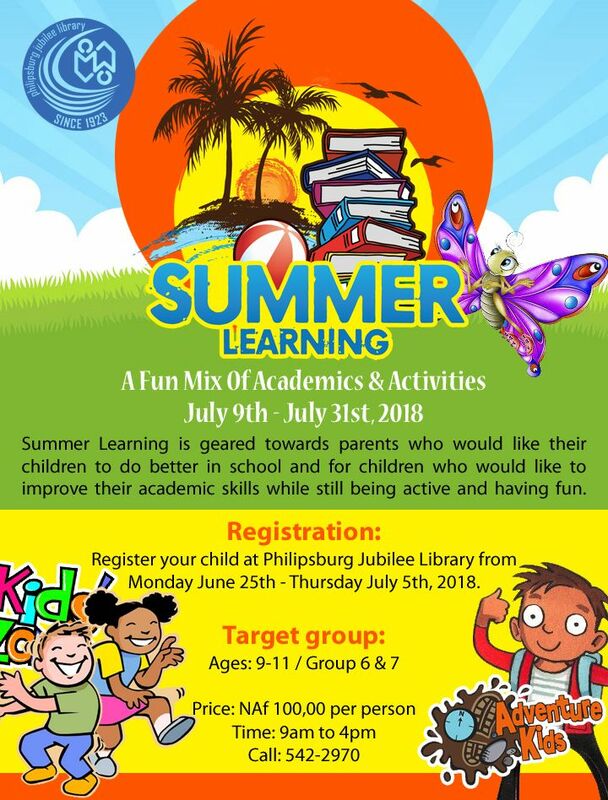 It is summer vacation again and the Philipsburg Jubilee Library would like to notify the general public of its upcoming Summer Learning Program. The summer program is a program which runs annually during the month of July. It brings children together to meet and discuss books, and do fun activities in an educational setting. 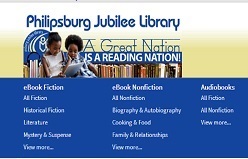 However, the summer reading program this year will have an academic aspect under the theme “Summer Learning”. This years’ target group are children between the ages of 9 -11 from group 6&7. The program is designed to support parents who would like their children to do better in school and children who would like to improve their academic skills while still being active in a fun way. Some children have trouble getting back into the “ school rhythm “ after the summer vacation as they passed their time watching television or simply hang out. During this year “Summer Learning” program the library will assist these students by improving their listening, behavior, academic skills as well as keeping them active via sports-related activities. This will make it easier to get back into learning once the new school year starts. 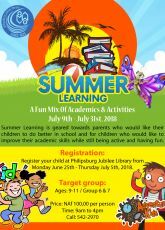 The library’s Summer Learning objective is to engage the children in educational activities in a fun an inspirational way. Teaching will be done indirectly as part of a daily school term academic curriculum. Children will be guided in exploring and observing their world and will discover the fun aspect of learning. A mix of academics & activity ~ learning and having fun at the same time. Subjects that will be covered will be reading with the emphasis on reading comprehension in the English language and Mathematics. Most of the learning will be computer based. 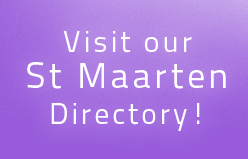 Meditation classes by Zoya Hyman; dance classes by Dance & Arts Dimensions Academy; Fine Arts by Artist Charisse Piper; Promotional Tablet Reading and Computer Gaming with Certified Media Coach Annelies Starreveld will also be part of the program. In addition, there will be Motivational speeches which are “Boys to Kings” with Lenworth Wilson; and “Phenomenal Girls Society” by Charity Sams. There will be Anger Replacement Training conducted by Coach Tom Burnett; a visit to space less garden with agriculture Specialist Denicio Wyatte hiking and informative sessions with Environmentalist Tadzio Bervoets from the Nature Foundation. During the Body Smaart program by American University of the Caribbean ‘s (AUC) Medical Students, the children will learn about anatomy and healthy eating habits. A Sports Day with Lab Sports academy’s Les Brown and a Healthy Nutrition with nutritionist Swinda Richardson is also included in the program. Parents can register their children aged 9-11 as of Wednesday, June 27th, 2018 at the library. Registration and will end on Thursday, July 5th, 2018. The library encourages all parents to continue assisting our children in becoming avid and lifelong readers and book lovers. The reading of books assists the entire community which strengthens us all. The library appreciates the patronage of its members and wishes everyone a happy, safe and readable summer.